I hoped these canned mangoes were the perfect solution. Well...are canned peaches a good substitute for fresh? 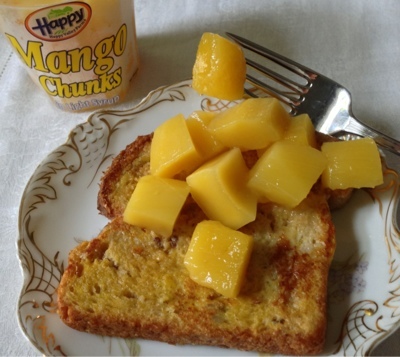 I don't know why I thought mangoes would be different from any other canned fruit. Don't get me wrong, these were perfectly good canned mangoes. I ate them and used them in cooking (see the French toast photo below), but I probably won't buy them again. 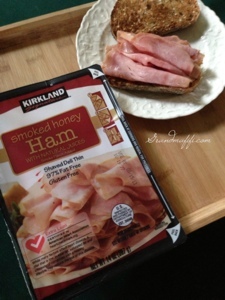 Within the past year, we've discovered Costco Kirkland deli meats in the cold cases, back with the bacon and shrimp. This thinly-sliced lunch meat comes in three packages of 14 ounces each. We freeze two packs and keep one open. Bob likes the smoked honey ham and makes ham and cheese sandwiches for his evening snack. I use chopped ham in omelets and on pizzas. In addition to the sliced ham, Costco uses this style packaging for both sliced deli turkey and a variety pack that includes one container each of chicken, roast beef, and ham. We like this "shaved deli thin" style better than the thick slices that we used to buy. Sandwiches use less meat, which seems healthier. I took this picture, and realized later that I should have tried to get rid of those shadows. Too late; I already ate the sandwich. 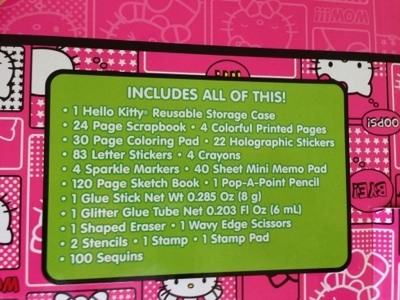 The Hello Kitty Art and Activity Set, currently on sale at my Costco, is full of great activities for older preschoolers. 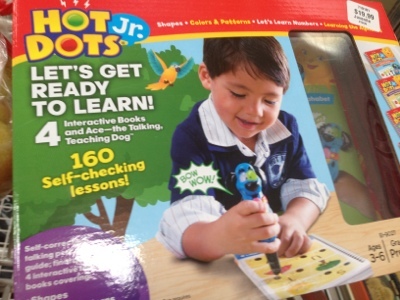 I bought this last week for Detroit Granddaughter's amusement while visiting Greatgrandpa, and it worked. 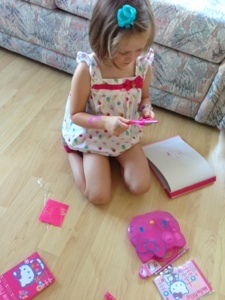 Glue, wavy scissors, stickers, blank books, markers, crayons, stencils, gave us at least an extra hour of adult socializing - well worth the twelve dollar cost of the kit, and she has lots of fun things to take back home. It's hard to tell from the list on the package the exact contents and quality of items in these heavily sealed kits at Costco, I think that's why some of them end up on sale. I've always been pleased and surprised when they're opened. I remember when Costco came to Brentwood, must have been around 2000, my friend Carol said, "You have to belong, just for the crab meat!" Carol has excellent taste, but it has taken me this long to try the crab. The crab comes in one pound tubs in the cold cases back by the butchers. And it's wonderful. Here's the recipe I used, which is a combination of several that I found on-line adapted to what I had on hand. Bob said, "delicious," which is the highest praise. Mix together, dredge in Panko and fry about 4 minutes per side. 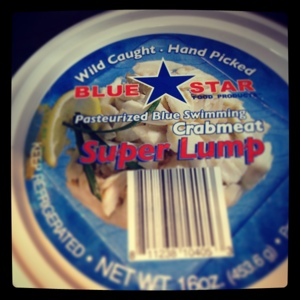 You can add onions, garlic, green pepper to taste - I wanted mostly crab taste so mine were plain. I served with ketchup but cocktail sauce or a mild Alfredo would be good, too. Yep, delicious. 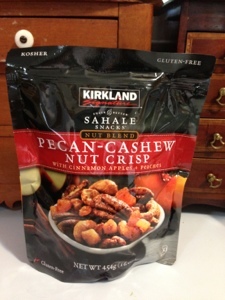 These Costco Kirkland animal crackers are good - organic, tasty; but I'm still mystified by the gentleman who was in front of me at the checkout about a year ago. He had these and started a conversation. "She just loves these. 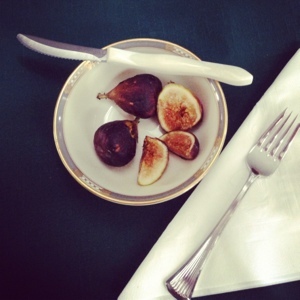 These are wonderful." It took me a year, but I decided I had to try. Don't get me wrong. These are fine animal crackers. 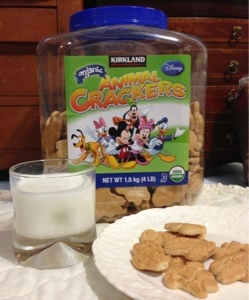 Good animal crackers, but...animal crackers. These are not Lady Walton's, not even close. 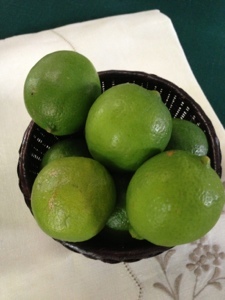 According to the Internet, lime season is June through August. Not sure that's so, but the limes are especially good at Costco right now. Bob likes lime juice squeezed in water, but I prefer higher calorie uses. 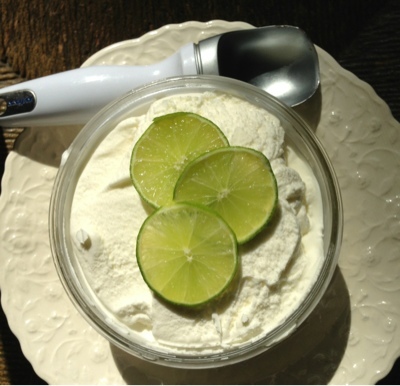 I found a wonderful lime curd recipe over at Spinach Tiger blog that combines lime curd with whipped cream and Pavlovas, little maringue shells. I had never made curd before, and this recipe turned out much easier than I expected (I skipped the Pavlovas and the whipped cream). I urge you to check out the Spinach Tiger website for the entire recipe. Whisk 3 egg yolks with 1/2 cup white sugar until frothy. Pour into double boiler, water simmering, add 6 tbs. lime juice and 4 tbs. butter in chunks. Stir constantly until mixture coats a wooden spoon. Cool in fridge and use as curd. To me, this lime curd cries out for dark chocolate, and I will be trying a variation of a lime curd and dark chocolate recipe that I found at Former Chef blog. 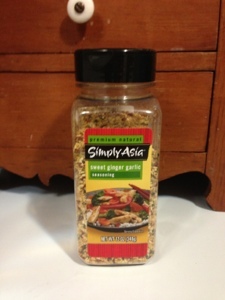 Last week, I tried the Simply Asia Sweet Ginger Garlic Seasoning at Costco on the chance it might be as good as the Johnny's Garlic Spread. I needed recipes and was slightly disappointed by not having any included with the bottle; but, the website, address printed on the label, has plenty of recipes. Stir-fry was first. I used this in place of my regular sauce. Bob complimented the sauce without being asked. I will make that again. I wanted to see what else the mix could do. This time of year, since we have so many cucumbers from the garden, I'm looking for cucumber recipes. Salt cucumbers and let stand for 30 minutes. Drain. Wisk together dressing recipe, pour over cucumbers. Marinate in fridge for a couple hours before serving - good, slightly spicy, but refreshing as a side dish. 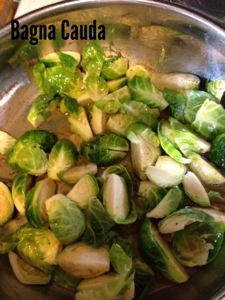 I tried this dressing on chopped cabbage and liked that too. I had some sympathy for Costco in the Tiffany setting controversy. After all, a Tiffany setting IS a well known style of ring that many jewelers make. It seems pretty dumb to use the name Tiffany in advertising, when you mean a setting style and not actual Tiffany, but I gave Costco the benefit of the doubt on that one. 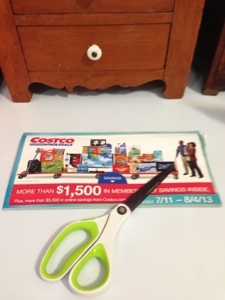 It is harder to understand how Costco could use a photo in an email ad of a product that was never actually for sale at Costco. This is what Michael Kors is claiming in a current law suit filed in federal court in New York which accuses Costco of false advertising. 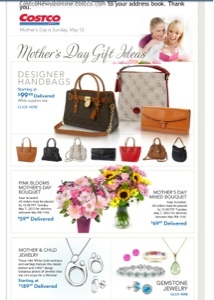 Michael Kors, the fashion retailer, contends that it has never sold handbags to Costco and that Costco's advertisement uses an illegal "bait and switch" technique by using a photo of a product that is not available..
Below is part of an email that I received last spring from Costco advertising potential Mother's Day Gifts. I believe this is the email that is the focus of the Michael Kors lawsuit. It clearly shows a Michael Kors bag. 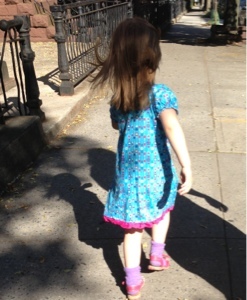 My Brooklyn granddaughter likes the Costco Hanna Andersson dresses. Easy to get on because they pull over the head, 100% cotton means these are perfect for extraordinary heat in NYC this past weekend. We grabbed a couple on sale at the Brooklyn Costco; problem was granddaughter decided she ONLY wanted to wear the blue one which was dirty after the extreme heat and ice cream eating. If you Google Hanna Andersson, you will see what a great deal these dresses are, even at full Costco price. In the Costco children's clothing, my granddaughter fell in love with the mermaid top and skirt set - not Hanna Andersson and maybe not to my daughter's and my taste. This set is 100% polyester, and my daughter thought it was too hot for Monday. After extended negotiations, my daughter let the granddaughter wear the top, with a different cotton skirt on the bottom. 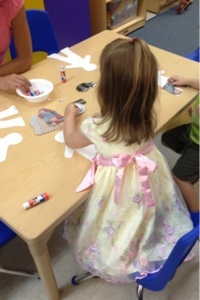 The mermaid skirt, a fancy 100% polyester tutu, has been saved for another day. 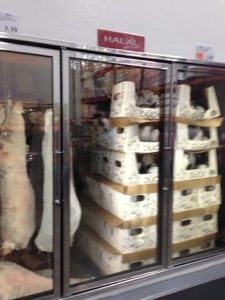 Made another visit to Brooklyn Costco, Saturday afternoon, July 4th weekend. It was insane - hundreds of people, all speaking different languages, all with little kids, including us. We grabbed the required paper products, crackers, meat, presents for my granddaughter and son-in-law. 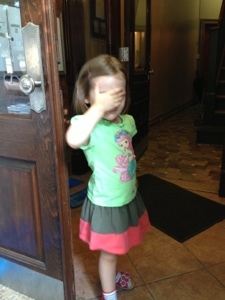 After we left, my daughter said, "That's the time to go, late Saturday on a holiday weekend, when no one is in town." At first, I thought she was kidding. To her it wasn't busy; I thought it was crazily, insanely busy. I had visited before on a Friday morning. I honestly cannot picture it any busier than it was on Saturday. 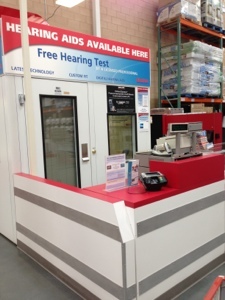 If you have a choice when to visit this Costco, go during the week. 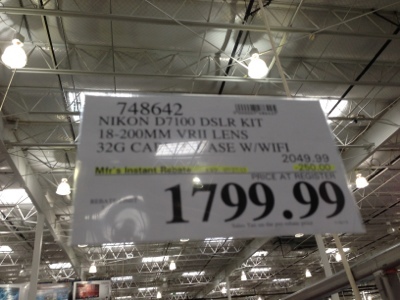 Trying to figure out if the printer ink at Costco is a good buy isn't easy. First, I couldn't find the exact pack I bought at Costco for sale from another source. The closest I could find was the standard, non-XL, ink cartridge. The price for two of the regular cartridges on the HP site is $39.99; I paid $47.98 for two XL. According to a write-up on the HP site, the XL ink cartridge will print 1,000 pages, compared to 660 the regular ink cartridge can print. So I ended up paying 17% more for 33% more pages. ( If my math is correct.) Even more confusing, the package says "now 50% more," so it's possible that the pack I purchased is a redesign and an even better deal. I stopped at the local big-box office supply store, and the price and selection was the same as the HP website. 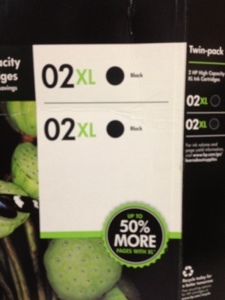 The black ink XL, available at Costco, was not available at either the website or the store. I am almost always happy making the Costco choice. 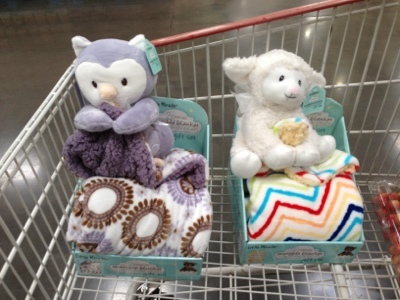 When I make purchases elsewhere, I'm usually sorry. 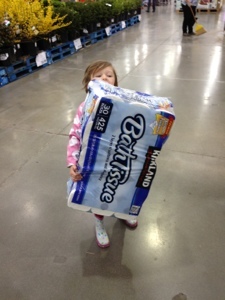 I stopped at the Cincinnati Costco on my return drive from Detroit. 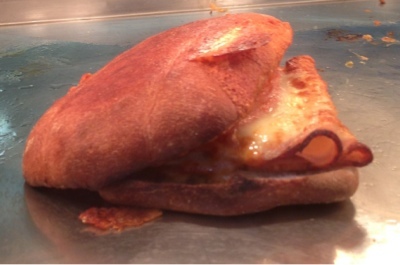 I didn't want a hot dog or pizza, so I tried the new turkey, provolone sandwich from the food court.. It was wonderful. OK, I have to admit I was starving, but I'm not the only person who liked it. Some food bloggers, including Real Mom Kitchen, liked it so much they figured out how to recreate it at home. The blogger's recipe includes pesto, mayo, tomato, and onion, as well as turkey and provolone. That sounds about right to me. According to the nutritional information, there are 730 calories in the sandwich, which seems like a lot.